On a cold, rainy Manchester autumn night, where better to be than the cosy basement of Solomon’s, watching a comedy show? The latest collaboration between Fuse FM and the Comedy Society, the show on the 12th of November was all about having a great time whilst raising money for a great cause. An eclectic mix of formats and personalities, A CALM Time, had something for everyone. The Comedy Society provided a mix of sketches and stand ups, and was a great chance for performers to showcase their talent before their big show later on this semester. Highlights included an angsty Scottish magician, a ‘whine tasting’ sketch, and some excellent stand up from one of the organisers, Annabelle Devey. Fuse FM presenters also joined in the fun, with a raucous and, quite frankly, bizarre performance from the hosts of Clown Syndrome. A brief interlude in the spoken comedy came from the Student Union’s very own Mathew Kerry, playing an intimate, acoustic set for us. His songs are not just about your typical boy-meets-girl subject matter, no. 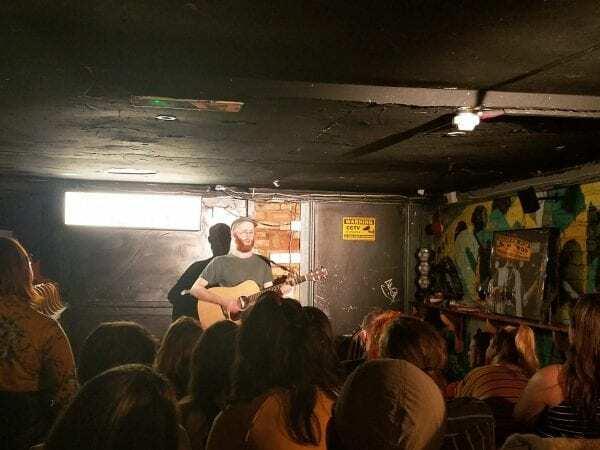 Highlights of his set included one song about a failed one night stand with a lesbian (from Bolton), a song about eczema, and even one featuring Manchester’s crowning glory – the Magic Bus. Amongst all this, there were some wonderfully poignant moments that really added an extra dimension to his songs. However, the night wasn’t just all about having fun. The £275 raised from the performance is being donated to CALM, the Campaign Against Living Miserably. CALM are a charity that focus on preventing male suicide, the biggest killer of men under the age of 45 in the UK. The cause is one that is very close to the Comedy Society’s heart, and one they feel very strongly about. “When you know someone that will be personally affected by the work that the charity you’re raising money for does, it really helps motivate you to help as much as possible. These issues are more prevalent than people realise,” Devey says. “We, as students, are in such a good position,” adds ComSoc chair, Jordan Vincent. “We’re given so much support from the university and the Students’ Union, funding, and rehearsal space. It’s the least we can do to give some of that back to a good cause. 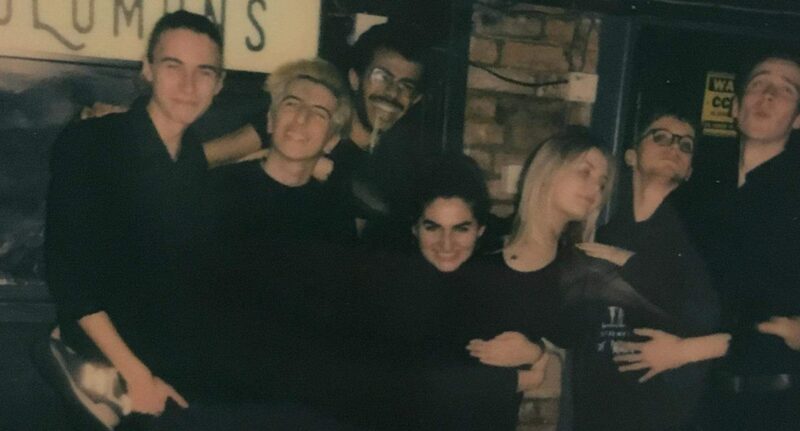 Coming up, Fuse FM are looking to release podcasts of Fuse Live events, as well as collaborating with MCFS, a new student-run charity fashion show, giving hands-on aid to the homeless in Manchester. The Comedy Society are focusing on their winter showcase and, even further ahead, their run at the Edinburgh Fringe. If you want to get involved with either Fuse FM or the Comedy Society, check out their Facebook pages for upcoming events, or tune in to Fuse FM on their website.